connecting organizations & people in Brevard County. 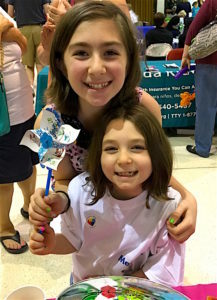 Spring Forward For Autism (SFFA) started as a fundraiser in 2014 specifically to donate proceeds to Florida Institute of Technology’s Scott Center for Autism Treatment. At the Scott Center, monies raised through our Zumbathon event was utilized in their WISH Scholarship. WISH scholarships provide early intervention treatment for children with autism and related disorders to families that otherwise could not afford it. Our 2015 fundraiser Zumbathon, we raised $20,000 for The Scott Center. In a letter from Ivy Chong, Director of Scott Center Autism Services and Training, the money raised from SFFA helped 30 families with a child or children aged 1-6 years, 31 families with a child aged 6 to 12 years, and 18 families with a pre-adolescent 12 through 18 years. Some were evaluations for diagnosis while others were given the WISH Scholarships allowing ABA (advanced behavioral analysis), or social skills group. Building a community you can depend upon! The following list of resources are both our partners and providers in Brevard County, Fl. They come highly recommend by the local autism community. Dr. Salinas is a neuropsychologist in Melbourne and Winter Park, Florida. She leads a compassionate team who provides specialized evaluations and treatment to help you understand and manage the cognitive and social-emotional changes related to brain, medical, learning, and mental health disorders. Supporting Our ASD Kids Inc. (S.O.A.K.) is an organization whose purpose is to help those diagnosed with Autism Spectrum Disorders and related disabilities and their families. 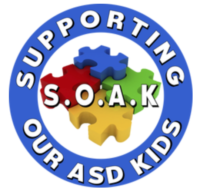 S.O.A.K provides resources and direct support to enable families to connect and assist each other through social support programs. The Scott Center for Autism Treatment pursues a three-fold mission of clinical service, research and training. 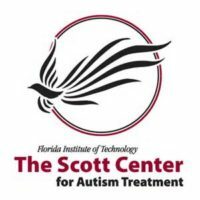 Parents and children from around the world now come to the Scott Center for the most advanced treatment methods available. Florida Autism Center Viera is open and accepting clients in our beautiful Viera location offering our center-based ABA therapy services. We have hired a top-notch management team and wonderful and caring staff to bring autism therapy to this community. The space itself is friendly, bright and cheerful – much like the people within. Everyday ABA provides direct in-home and in-center Applied Behavior Analytic (ABA) services to a wide range of individuals with disabilities. Using the principles of behavior, Everyday ABA teaches relevant and meaningful skills that lead to a greater quality of life. Kaleidoscope provides both school and center-based behavioral consulting and Applied Behavior Analysis (ABA) services for children with autism and other developmental delays. Through our research, we’re able to effectively capture a child’s motivation and use it to help them develop accelerated skills in language, play, and social interaction. 7 Senses Therapy is a Pediatric Occupational Therapy Clinic and Store. Our mission is to provide excellent individualized therapy services to achieve functional skills, increased independence, and future dreams. We work with children of all abilities, so they can gain skills for life! Eastern Florida Autism Center believes that all children can learn when provided the appropriate environment and curriculum. Our staff is skilled in developing and delivering specialized individualized programs designed on the principles of Applied Behavior Analysis (ABA Therapy) and Skinner’s Analysis of Verbal Behavior (VB). 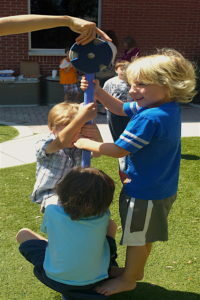 We focus on the development of behavior, language, social/play skills, academics, and adaptive daily living (ADL) skills. 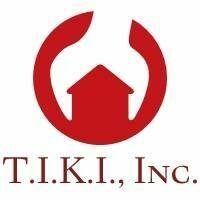 TIKI Inc. strives to provide exceptional ABA services to families right here on the Space Coast. We are from here and for here and want to stay that way. Established in 1987 by Betsy Farmer to provide a school for her son with Down Syndrome, Space Coast Early Intervention Center provides our students with the most up-to-date curricula available for children with or without disabilities. SCEIC’s purpose has been and continues to be the education of children in an inclusion environment. Great Leaps Academy takes a whole-child approach to learning. Analysts, teachers, and support staff work together to meet the academic, social, behavioral, and independent living skills for each and every child we serve. Prior to teaching each student will receive an assessment to determine their current skills in order to create measurable goals. Puzzle Box Academy (PBA) is a private school in Brevard County, Florida, for students with Autism Spectrum Disorder and other developmental disabilities. PBA is the first Kindergarten through 12th grade school in Florida to provide the Morningside Academy Curriculum and teaching style; in addition to following the Florida State Standards. The Parker Foundation for Autism and Child Development was founded to provide a community of understanding and support to children with Autism Spectrum Disorders and related disabilities and their families. CARD’s primary service is to provide individualized, direct consultative assistance to individuals with autism and related disabilities in Central Florida and their families. Other services include technical assistance and consultation, professional training programs, and public education activities. Morgan’s Place is a fun place for children with special needs to come and stimulate their senses in an environment that is uniquely created just for them. This very special place can be reserved on an individual basis or for small groups including school field trips. Health First was formed in August 1995 when Holmes Regional Medical Center, Cape Canaveral Hospital and Palm Bay Hospital joined together to create a truly integrated not-for-profit healthcare delivery system, fulfilling a common mission of improving the health of our community. Meet Karen Delos Santos. 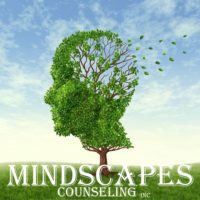 Karen is the owner of Mindscapes Counseling, Inc. and is a licensed mental health therapist. She treats people dealing with stress, anxiety, depression, low self esteem, women’s issues, and trauma. These symptoms or circumstances often surround a variety of events and typically affect many aspects of our lives, preventing us from living to our fullest potential. JMS Speech Therapy Services is located in Brevard County, Florida and is a recommend provider of Spring Forward for Autism. As a premier elder law, estate planning, probate and VA planning law firm in Melbourne, Florida, we focus on specific closely related practice areas that significantly affect families, seniors and veterans. We take the time to listen to each client to gain a full understanding of our clients’ concerns, goals and family dynamics to craft workable solutions to protect our clients’ interests. For additional medical & commerical providers see the extensive resources in Brevard County provided by Bright Feats! WOULD YOU OR YOUR ORGANIZATION LIKE TO BE ADDED TO THIS LIST?